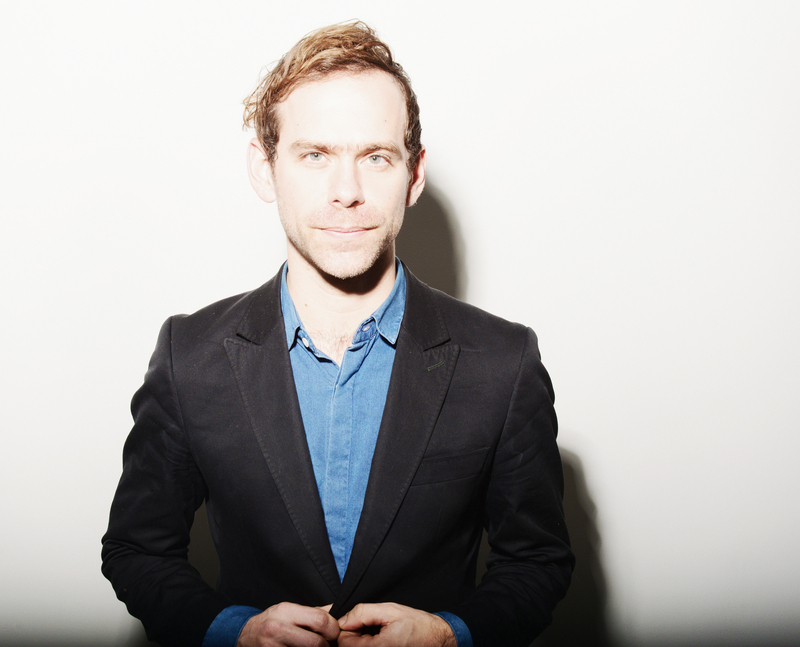 Sounds from a Safe Harbour is a brand new festival of music, art and conversation, curated by Bryce Dessner of The National. 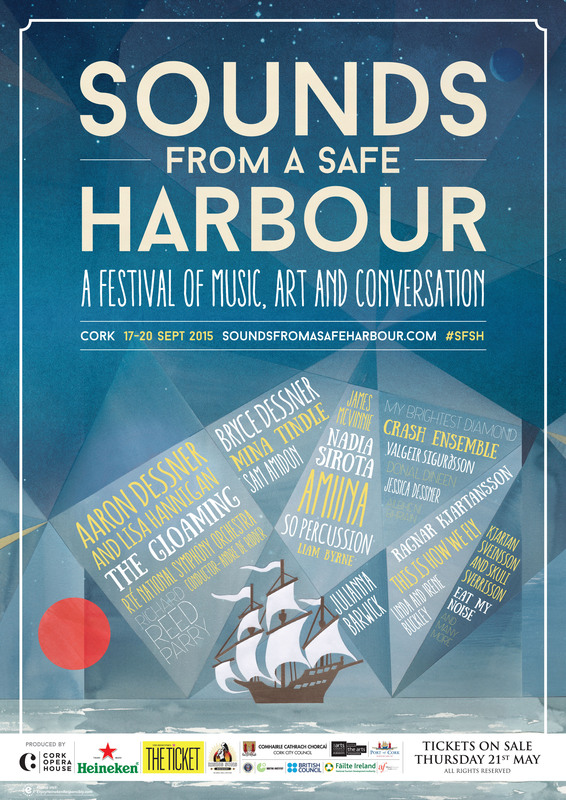 Two years since its inception by Bryce and Cork Opera House CEO, Mary Hickson, Sounds from a Safe Harbour will bring a huge international creative cast to Cork this September to celebrate the port city’s place on the world’s stage in a unique setting. Alongside Cork’s spectacular harbour environs, themes of waves, water and movement have been the inspiration for the festival, and will be explored through many new commissions and collaborations specially programmed for Sounds from a Safe Harbour. The festival will activate the City through many art forms including visual arts, conversation, dance, film and music. Collaboration and shared experiences are strong themes in the festival, and audiences are encouraged to immerse themselves and form part of the conversation. One of the festival’s centerpieces will be ‘Wave Movements’ – a new composition by Bryce Dessner and Richard Reed Parry (Arcade Fire) – performed at Cork Opera House by the RTE National Symphony Orchestra and accompanied with film by the celebrated Japanese photographer Hiroshi Sugimoto. Also on the truly inspiring programme will be the award-winning seminal Irish ensemble The Gloaming; The National’s Aaron Dessner’s collaboration with universally-acclaimed Irish singer-songwriter Lisa Hannigan; Shara Worden’s My Brightest Diamond; celebrated English organist James McVinnie; New York So Percussion and Nadia Sirota; Icelandic producer and composer Valgeir Sigurðsson with Icelandic compatriots Amiina,Ragnar Kjartansson, Kjartan Sveinsson and Skúli Sverrisson; Swedish / Irish fusion outfit This Is How We Fly; Parisian new-wave multi-instrumentalist Mina Tindle; US choral-based sound sculptor Julianna Barwick; American songsmith Sam Amidon; Kate Stables’ endearing folk outfit This Is The Kit plus many more. 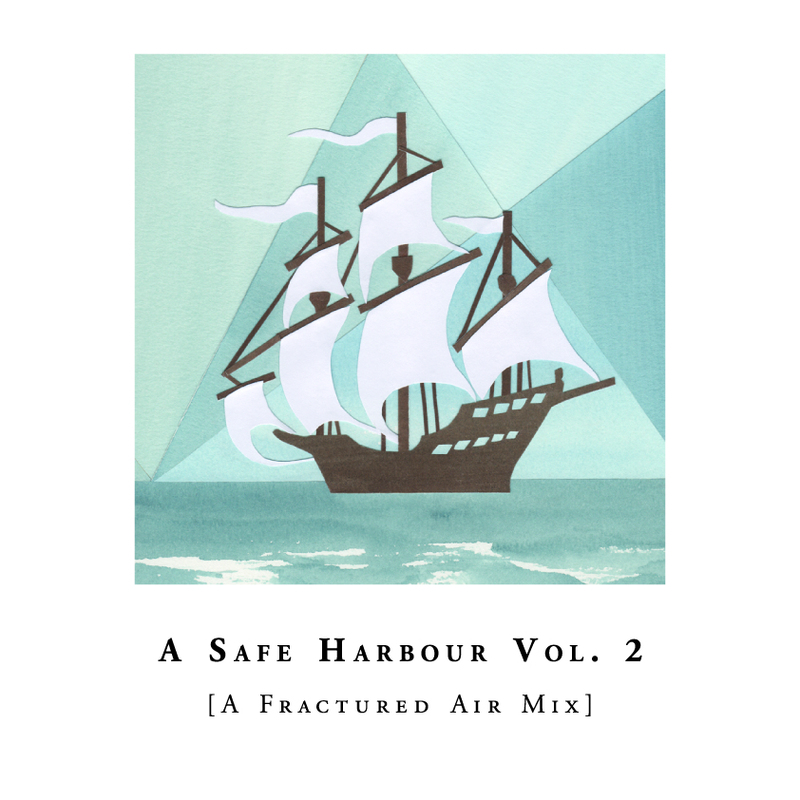 The announcement of Sounds From A Safe Harbour was wonderful to see and a truly special lineup awaits us in September. It shows the spirit of collaboration and how over the last few years, there’s been so much fascinating and adventurous music. I’d love for you to discuss this whole aspect of collaboration as it’s something you’ve always been doing. Bryce Dessner: I think that music is the great collaborative art that musicians exist in dialogue with each other and also in community with the audience. I think this is what pushes us forward, it opens new creative worlds for us as musicians. And also what’s interesting to me about doing this in Cork as a place is that in Ireland being a place of such tremendous music culture – for a small country it has such a huge global reach – of traditional music and the great bands and singers that come from there and all that. And then Cork being this gem of a city, this small city that feels like a village with so many beautiful venues and spaces, and the harbour and canals. The idea of bringing artists there is as much as about them bringing their music to Cork as it is Cork opening its doors and being a place for the musicians to discover, especially to interact with the Irish musicians who will be there. I mean that’s the stuff that makes me really excited and the driving force in my creative life is collaboration and community and embracing this more creative style of music. I can’t wait to see your live performance of ‘St. Carolyn by the Sea’ because it’s such an amazing piece of music. BD: Thanks. ‘St. Carolyn by the Sea’ is a significant piece for me that I wrote for my brother and I to play with orchestra and it’s very much about how we play music together but pushing it quite far structurally and formally and something quite ambitious with the orchestra. It’s going to be really fun and It’s not something we can do very often and to do it with such a great orchestra and conductor is a really amazing opportunity for us. The festival has a lot of these rarely heard before performances which I think is a big part of what’s exciting to all of us and hopefully part of the draw for people to come is for the stuff you’re not going to hear elsewhere. I wonder Bryce in terms of the writing process for a composition like ‘St. Carolyn by the Sea’, I can imagine it evolved over quite a long period of time? It feels like it did as there are so many different aspects to it. BD: I mean the actual writing of the piece which takes six months or so and then the music itself takes a lifetime in a way where the sounds and ideas that may have been somewhere in me or developing somewhere back then so once it’s time to write it down, it almost feels like it’s been there and you just have to figure it out. I always wonder how many of these pieces one has and how many more of them I can do but that piece has a lot of colours in it that I am proud of. Another highlight will be the new piece you wrote with Richard Reed Parry, ‘Wave Movements’. BD: Yeah that piece is a commission for the festival and there is quite a few commissions and new works that we’re doing. The Irish sisters from Cork, Linda and Irene Buckley are creating a new piece; there’s a more electronic group Eat My Noise who are doing a big collaborative work and there’s a couple of visual artists who are doing some new projects. I think that side of the festival is super important to us. Richard Reed Parry and I are really close friends and collaborators and we wanted Mary Hickson at the Cork Opera House who talked about the harbour and the theme of the water and sea is a big part of the Cork identity so we wanted a piece that would respond to that in some way. So, ‘Wave Movements’ is a string orchestra piece that all the rhythms are generated by the ocean. We actually spent time recording the ocean, I spent time in Cork on the sea there and spent time in the city thinking about the role of the sea there. It’s a sixty minute piece but what’s significant about it is in addition to co-composing it which is not a very traditional thing to do but incredibly fun and interesting process. The whole thing as a visual side of it, Hiroshi Sugimoto who is an amazing Japanese photographer did a film for it. It’s a really, really stunning piece of work and I think there’s a trailer up so you can see what it’s going to look like. As you say too Bryce, it must be this fun element when you’re working with close friends and family obviously with your brother, that’s the beauty of it when you’re sharing ideas with each other and creating something from that. BD: I always say that my brother and I were born to collaborate- we’re twins and we’re playing in a band and it extends beyond just collaborating with one another. Aaron is writing a new set of songs with Lisa Hannigan, the Irish singer for the Cork festival and we being brothers that have always worked together, it really helps us and something we’ve learned from an early age on how to be good collaborators. And ultimately when you think of creative people there’s always the creative ego and the desire to express oneself but actually the stronger part of the creative life is being open and learning from other people and that’s why I do it and it’s always so interesting to learn from other musicians and other artists. Another beautiful thing with The National is all the wonderful collaborators that are involved, for example some of the Bedroom Community artists and guest musicians who work in the studio on your songs so you can feel that special spark in all the National recordings too. BD: There’s the five of us but then there is this really broad community of people like Richard Parry or Sufjan Stevens or Sharon Van Etten. There’s many many different people who have been a huge part in our career. The music itself is a good vehicle for that. In a way, The National sound is singular, it sounds like nothing else but it’s the sound of many voices and it’s not just us. I think that collaborative power of music is definitely part of The National story. In terms of scoring music, it must be a lovely feeling when you hear an orchestra such as the Copenhagen Philharmonic performing the music that you wrote? BD: Especially in our current world that is so digital and so virtual and the experience of the internet and always being online, the actual performance of things and the live event and the communal aspect of coming together to hear something or to play something or to experience the notes that are written on the page and then there’s the notes that you hear in the theatre and the things that aren’t written or sung in our minds and that aura of performance and there’s nothing to replace that. 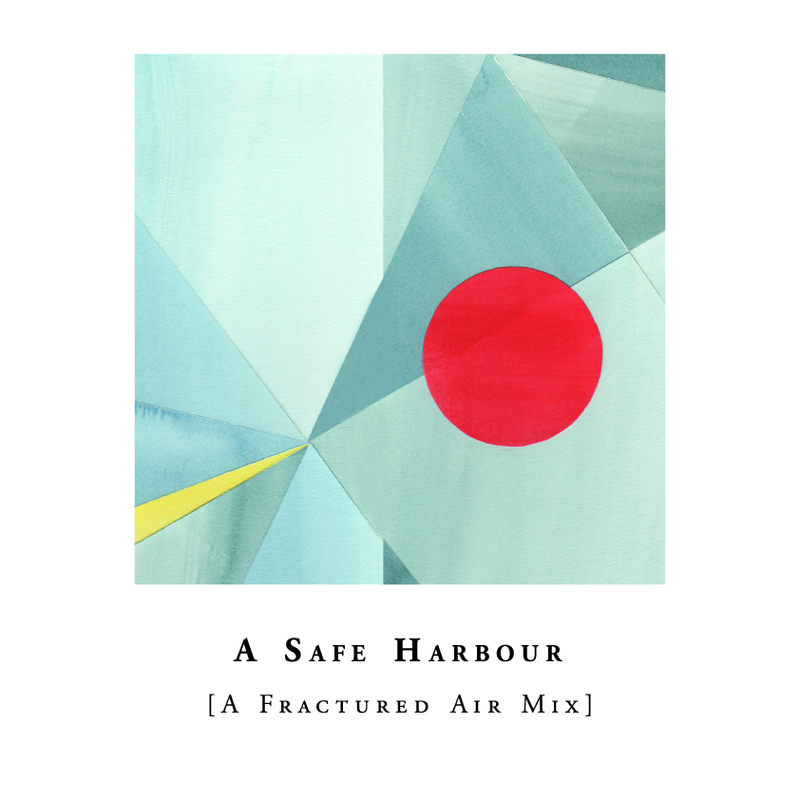 I think something like Sounds From A Safe Harbour is very much about that and like I said it’s very much about the artists as much as it is for the audience. It’s important for artists to have that opportunity to come together into an intimate environment to really have the possibility to work together, to work with different musicians and to encounter a new culture in public. I think that’s what pushes the creative world forward and hopefully offers people something new and some kind of transporting experience. It definitely will, there’s no question about that. I wonder are there certain records you’re listening a lot to lately in the last few months? BD: As far as things I’m listening to recently is a record that I worked on by a friend of mine, Sufjan Stevens new record ‘Carrie & Lowell’ which has been my soundtrack when I drive upstate a lot in New York, I have a little house in the mountains and I always put that on. I just think he is one of the most interesting musicians of our generation and that’s a record that I love. 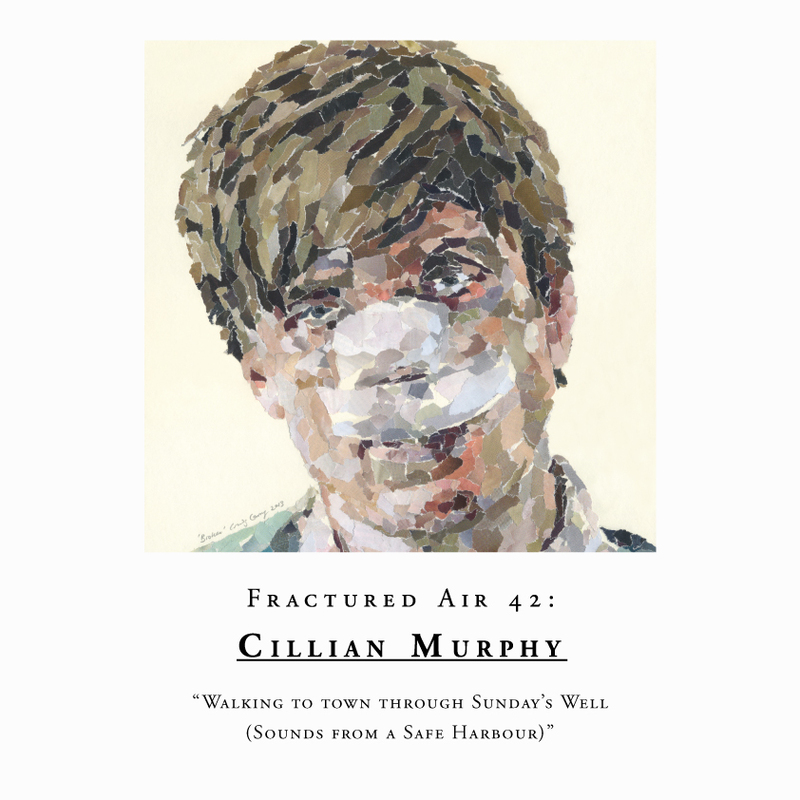 Also a record by a young singer This Is The Kit who will be playing in Cork as well- that record my brother produced, it’s called ‘Bashed Out’ and it’s a really, really beautiful record. The whole aspect of scoring music and this idea of collaborating, it’s great too because as you say with the current age of downloads and digital, there’s a lovely sense of being in the moment and taking risks as well in obviously the best possible way. BD: I think so. I think it’s always interesting when you spend a lot of time working on something, it’s like tending your own garden and then it becomes like reading your own palm and something that’s so familiar that maybe you’re missing. It’s always interesting when someone comes to me from outside and says, ‘Oh did you notice that at all?’ that little corner over there and you haven’t seen it before. To me that’s the beauty of collaboration is hearing the way other people respond to your work and that’s also the role of an audience and how they respond to you. It happens so often with the National songs where you get people developing their whole own personal narratives to a song and tell you after and I’m like ‘I never thought of that before’. But it’s a really beautiful way to make work is to share. For instance, working with classical musicians who spend their lives playing instruments and really have developed such a fine ear, the way they tune and that’s part of having strings on a National record is that you spend six months working on a track and then to bring in just for a day, a really good group of musicians and have them channel their musicality at it and even just the way they would interpret the pitch or tune against it really gives it this human element that’s been really important to our recordings. I love too how witnessing The National’s live performance how you are struck by the energy and rawness of the performance. BD: I think we never felt the need to duplicate the records like the experience of us live is different from the album and I like artists that feel that freedom to make something new for the live show. 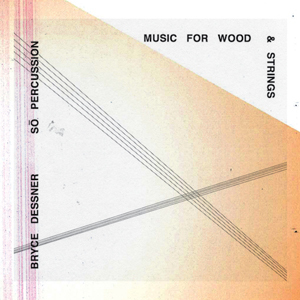 ‘Music For Wood & Strings’ is available now on Brassland.